Boomerang Village is located on the west side of town, adjacent to Cornet Creek and a few short blocks from the Coonskin Lift, Lift #7. The complex is also conveniently located near shops and restaurants. 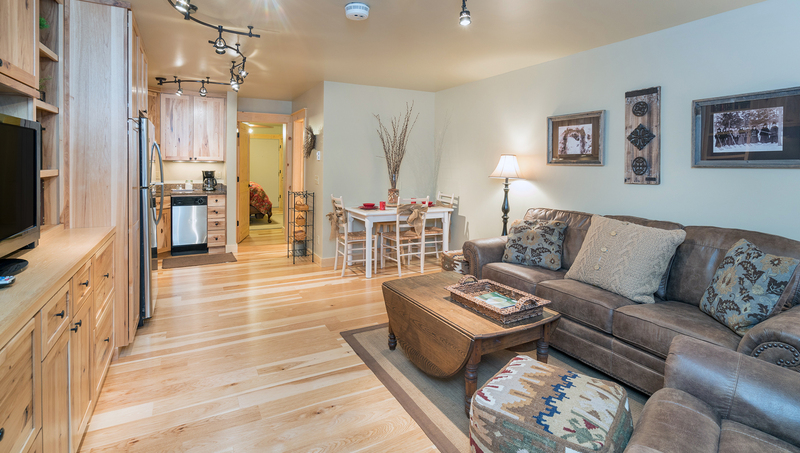 Newly renovated and well appointed small condo at Boomerang Village in Telluride. 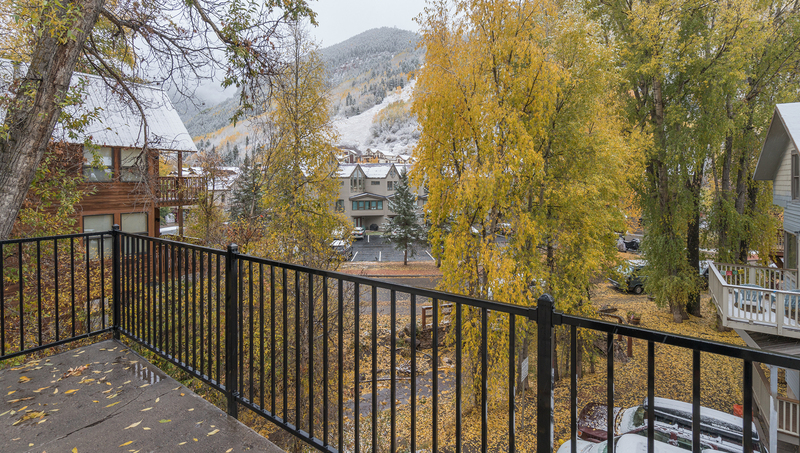 Easy walk to ski lifts, grocery store and downtown Telluride. Bedding: queen bed and queen sofa sleeper. 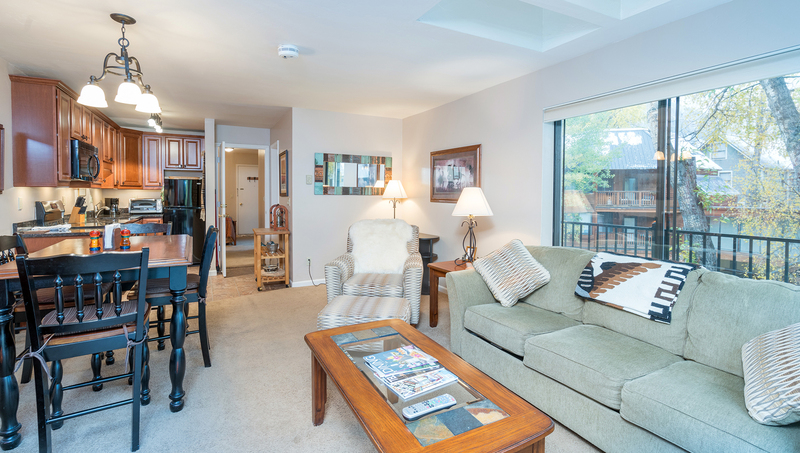 Enter this condo on the street level of Boomerang Village, by the side facing Cornet Creek. As you enter the condo you walk into the living room area with a queen-sized sleeper sofa, coffee table and large flat screen TV. 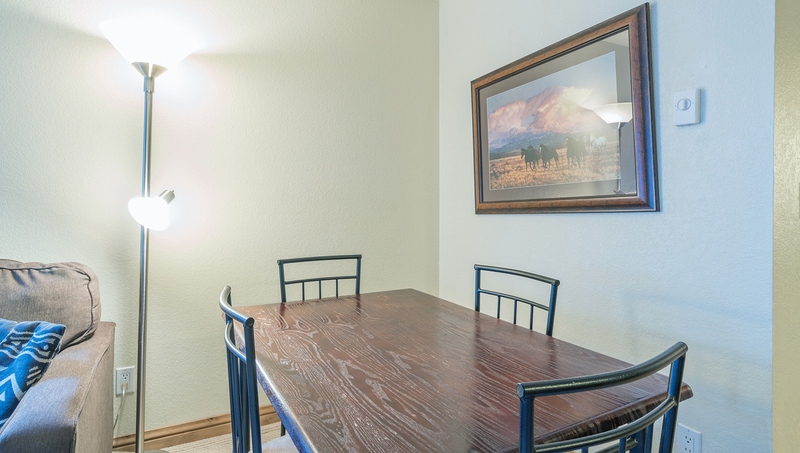 Open to the living room is an updated galley style kitchen and dining table for 4 guests. The adjacent bathroom is updated and has a walk-in shower. The bedroom has a queen bed, good closet space and a TV in the cabinet. This condo also has a private washer and dryer. 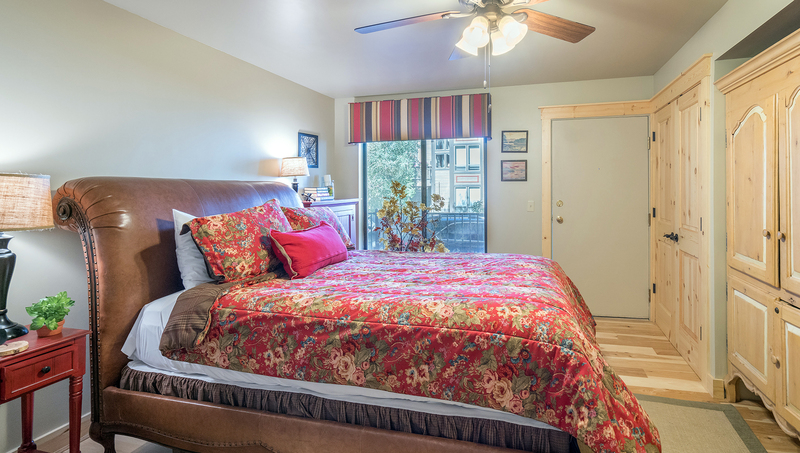 Boomerang Village is conveniently located within minutes walk to the heart of historic downtown Telluride, along Cornet Creek. 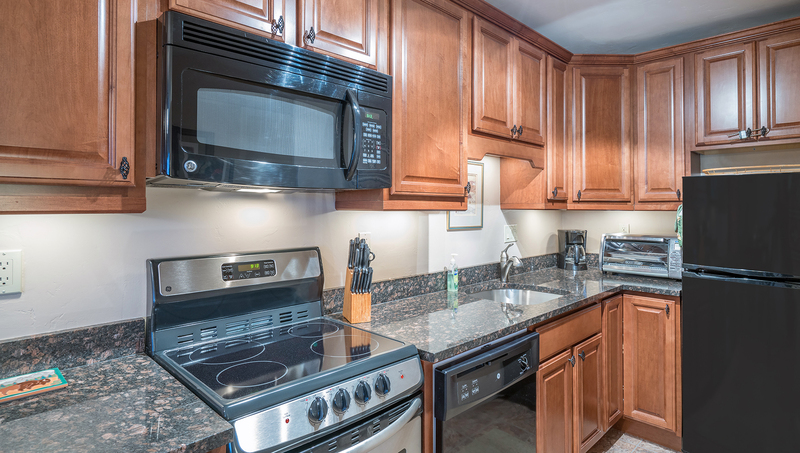 Restaurants and other amenities are within a couple of blocks of the condo. 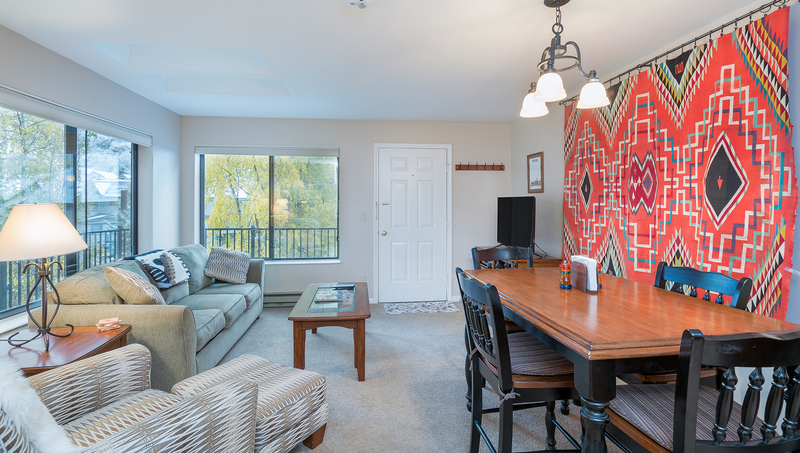 The building is located a short 2 block walk to lift 7 (Coonskin lift) for easy ski access. Parking is available at the complex, but on a limited, first-come-first-serve basis. 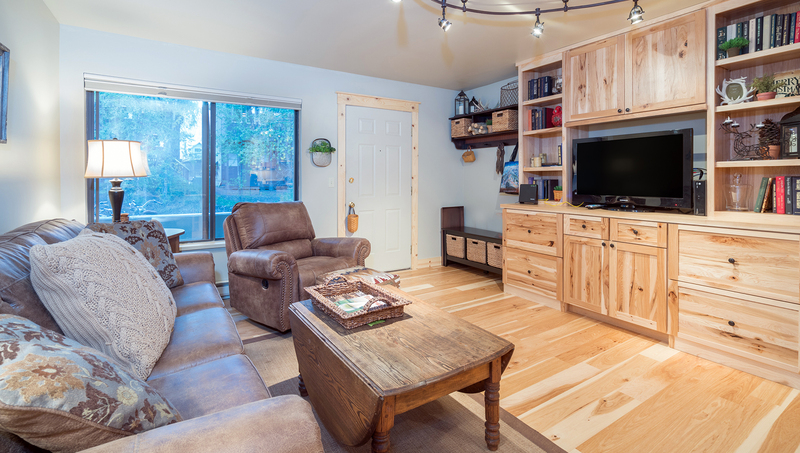 This comfortable one-bedroom condo is tucked away next to Cornet Creek in the town of Telluride. With easy access to both the ski lifts and hiking trails, this location is perfect for summer and winter vacations. Itâ€™s ideal for a couple or small group of people. Bedding: King bed, double futon and sofa sleeper. Sleeps four. 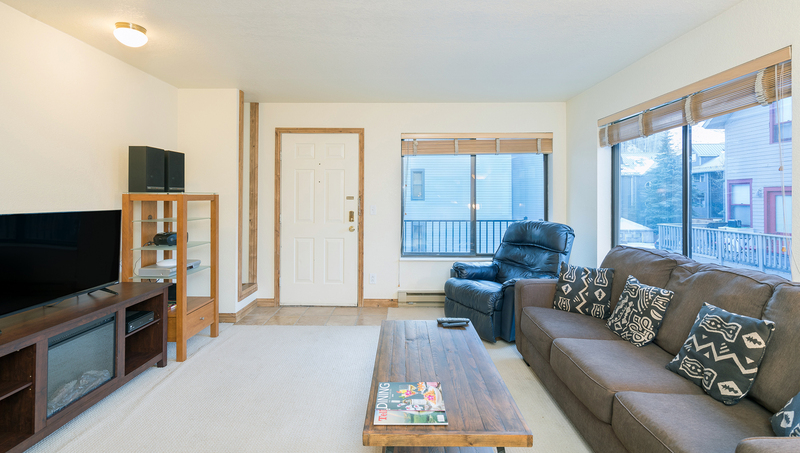 This unit is on the second floor of the Boomerang Village complex with south-facing views of Lift #7 and the lower Milkrun ski trail. Enter off of an exterior deck and enter an open living space with a living room, complete with a sofa sleeper, and an open kitchen. The living room features a TV with a DVD/CD player, bluetooth speaker and wifi internet. The bathroom is located just outside of the kitchen and has a tub/shower combination. 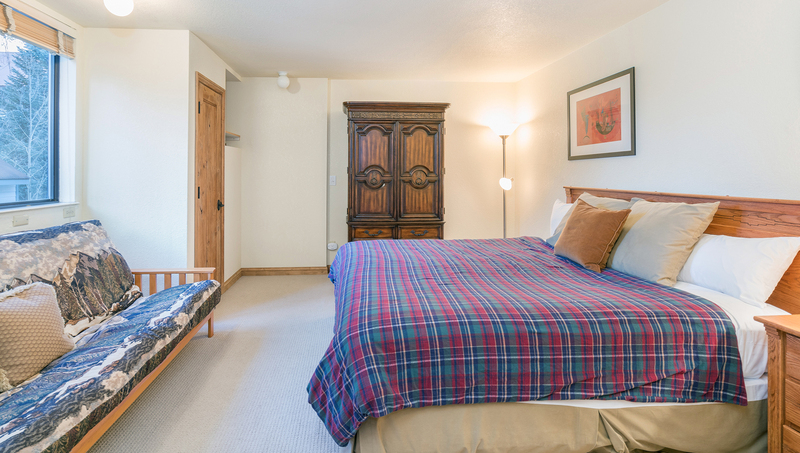 The bedroom is spacious, with a king-sized bed and views of the cottonwood trees around the building. There is also a double futon for extra sleeping space in this room. Parking for this unit is located on the premises but is a first-come, first-served basis. It can be a challenge. The free town shuttle, the Galloping Goose, is located just steps from the front door. Lift #7 is less than a block away on the south side of the building for easy access to skiing, as is the River Trail in the summer. There is a grocery store, liquor store, Thai restaurant and other shopping and restaurant options within a block of this unit. 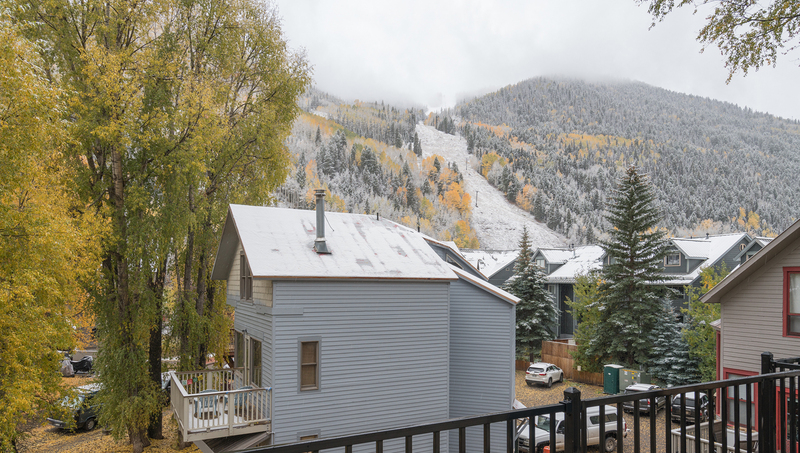 Town Park, home to Tellurideâ€™s epic festivals, is six blocks east of this unit and the downtown amenities are less than a 10-minute walk. 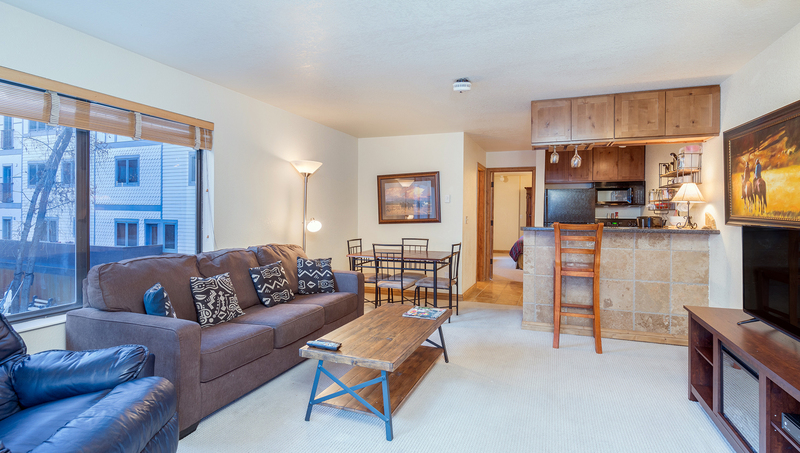 Comfortable small condo perfect for a couple or small family. 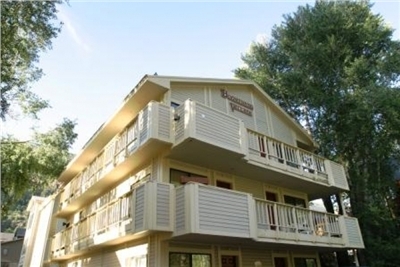 This condo is located at easy walking distance to downtown Telluride as well as skiing. Bedding: Queen Bed, Queen Sleeper Sofa. 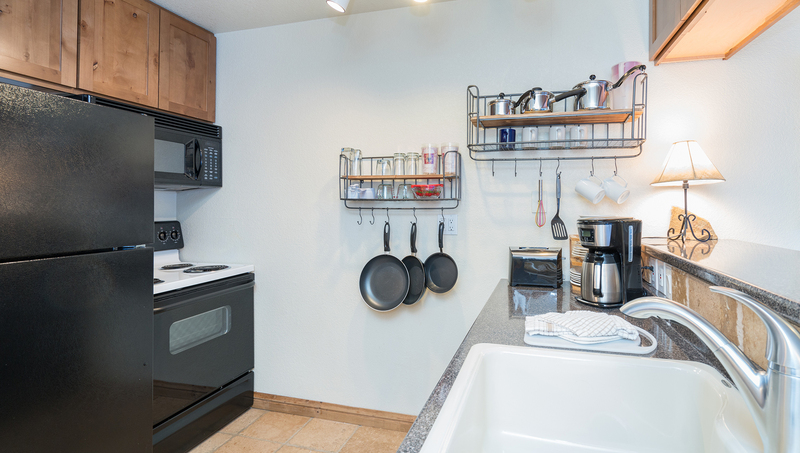 Walk into this efficiency condo from the south side of the building. The living room has a sofa that can fold out into a sleeper sofa, flat screen TV and views of the ski area. 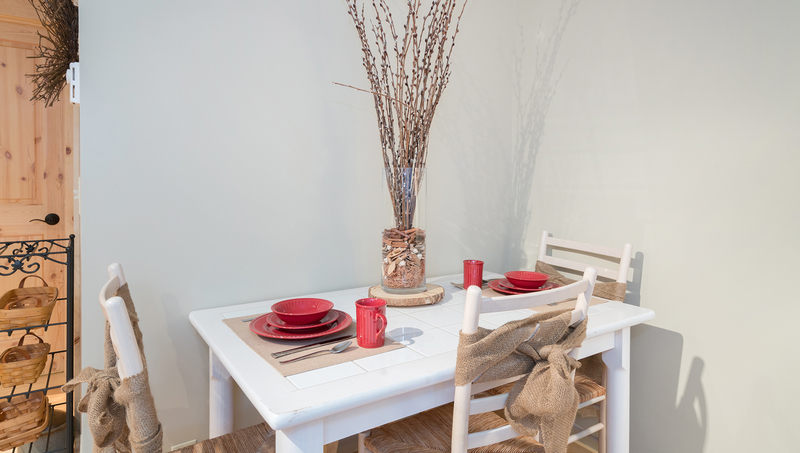 There is also a dining table for 4. 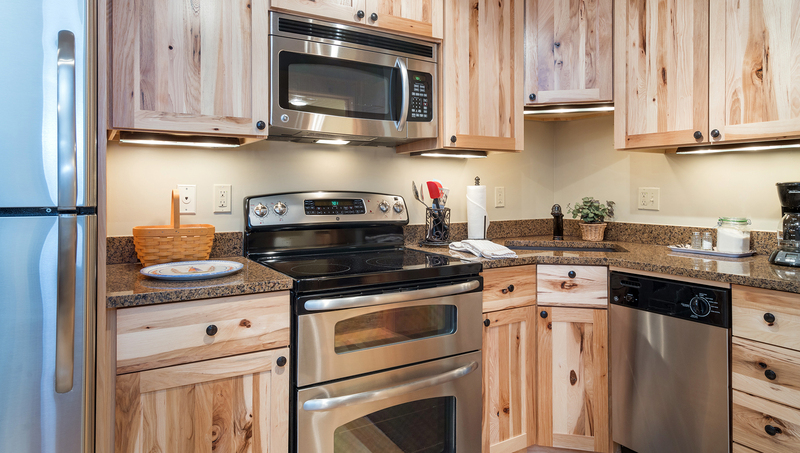 The living room area is open to the galley style kitchen with granite counter tops and newer appliances. The bathroom can be accessed from the kitchen area or the separate bedroom and features a shower. The bedroom has a queen bed and a closet with a private washer and dryer. This room also has a door to exit the condo.